Almost every Chinese restaurant ends a meal with a few fortune cookies, those crunchy, folded treats with a special message inside. But you may be surprised to know that the fortune cookie is not Chinese at all. In fact, modern-day fortune cookies first appeared in California in the early 1900s. There is some discrepancy, however, on who actually invented the cookie. Most sources credit either Makoto Hagiwara or David Jung with the invention of the fortune cookie. Of the two, Hagiwara seems to have the stronger claim. A Japanese immigrant who had served as official caretaker of the Japanese Tea Gardens in San Francisco since 1895, Hagiwara began serving the cookies at the Tea Garden sometime between 1907 and 1914. (His grandson, George Hagiwara, believes the correct date is between 1907 and 1909). The cookies were based on Japanese senbei—toasted rice wafers. According to some sources, the cookies contained thank-you notes instead of fortunes and may have been Hagiwara’s way of thanking the public for getting him rehired after he was fired by a racist Mayor. Meanwhile, Canton, China, native David Jung had immigrated to Los Angeles and in 1916 he founded the Hong Kong Noodle Company. He claimed to have invented the fortune cookie around 1918, handing out baked cookies filled with inspiring passages of scripture to unemployed men. However, there is no surviving documentation showing how he came up with the idea. In 1983, the San Francisco Court of Historical Review held a mock trial to settle the issue for once and for all. (The Court has no legal authority; other weighty culinary issues they have settled include whether or not chicken soup deserves its reputation as "Jewish Penicillin.") 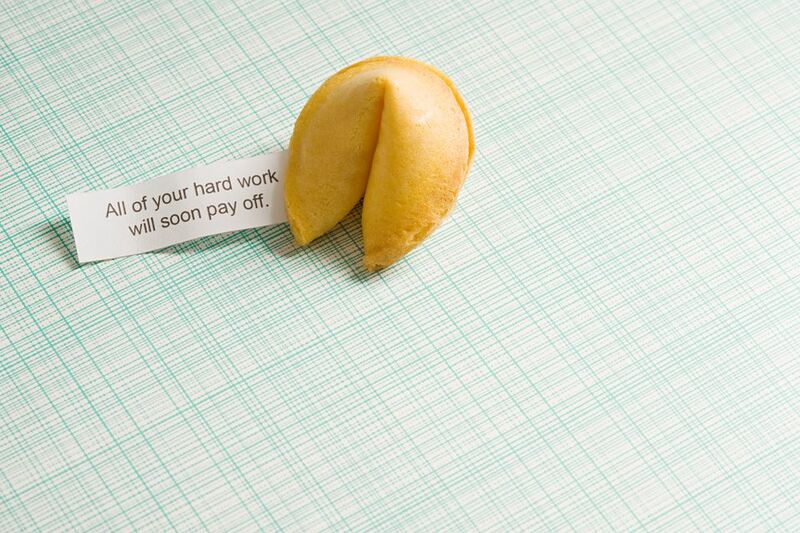 During the trial, someone provided the judge with a fortune cookie containing the message "S.F. Judge who rules for L.A. not very smart cookie." In fairness to Daniel M. Hanlon, the real-life federal judge who presided over the case, his decision rested on weightier pieces of evidence, including a set of grills. Still, it came as no surprise when the Court sided with Hagiwara and ruled that San Francisco is the birthplace of the fortune cookie. Not surprisingly, Angelenos ignored the ruling: many sources continue to credit Jung with inventing fortune cookies. But for now, Los Angeles (County) will have to be satisfied with being the official birthplace of the Cobb Salad and the Shirley Temple mocktail. According to sources, Kito's inspiration was omi-kuji – fortunes written on slips of paper found in Japanese Buddhist temples. Today, you’ll find omikuji-senbei (“fortune crackers”) sold in bakeries in Japan. But where does the inspiration for modern-day fortune cookie messages come from? Despite the fact that fortune cookies have proved about as popular in China as a plate of cooked spinach is to the average five-year-old, their origins may be Chinese after all. Every fall (the 15th day of the eighth month in the Chinese calendar, to be exact) the Chinese celebrate the mid-Autumn Moon Festival. Children hear the legend of how, in the 14th century, the Chinese threw off their Mongol oppressors by hiding messages in Mooncakes (which the Mongols did not like to eat). On the night of the Mid-Autumn Moon Festival, the rebels attacked and overthrew the government, leading to the establishment of the Ming dynasty. Today's Mooncakes don’t contain messages, but some believe that during the American railway boom of the 1850s, Chinese railway workers came up with their own substitute for the mooncakes they were unable to buy: homemade biscuits with good luck messages inside. Like the mooncake legend, no proof for this story exists. And, thanks to the exhaustive efforts of Japanese researcher Yasuko Nakamachi, we now know that at about the same time the Chinese railway workers were laying down tracks, tsujiura senbei (rice cakes containing paper fortunes) were being made at the Hyotanyama Inari shrine outside Kyoto in Japan. According to Jennifer 8. Lee's book, The Fortune Cookie Chronicles, Nakamachi uncovered an illustration in an 1878 book showing a man grilling tsujiura senbei outside the shrine.